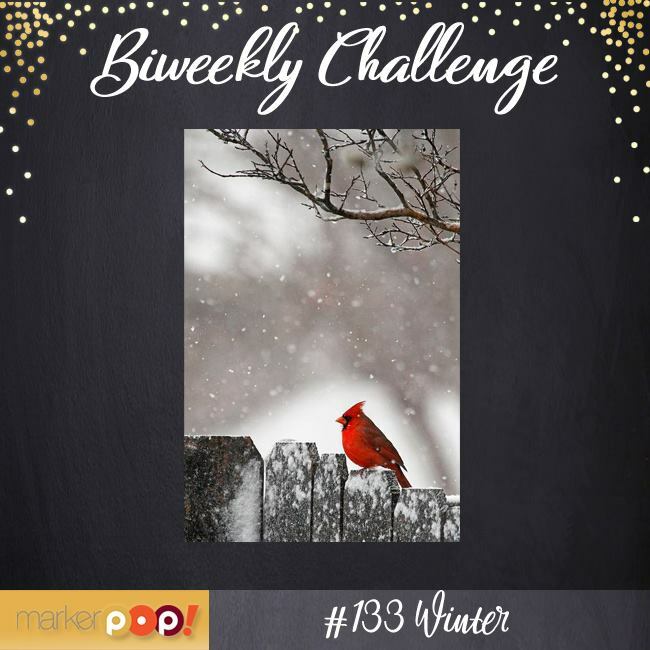 There's still time to join the MarkerPop Challenge. The challenge #133 will end on 2/2 at 11pm EST. 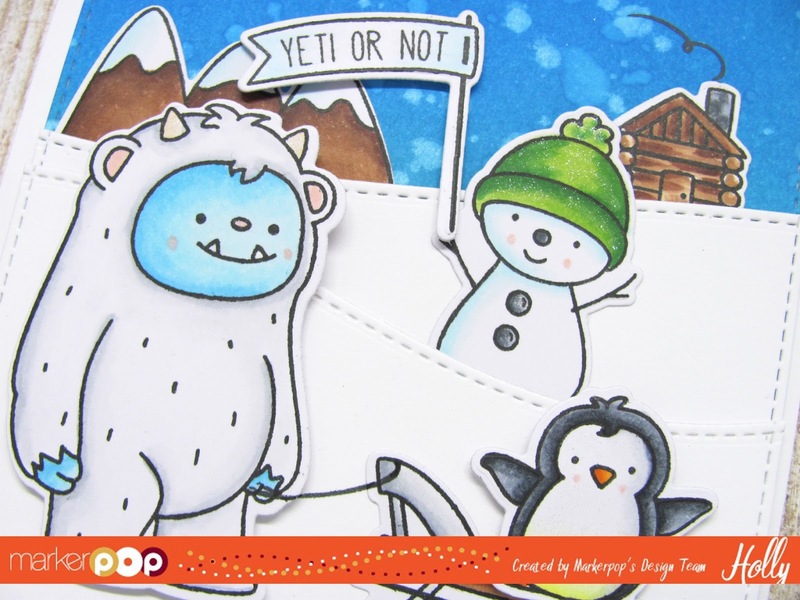 Create a Winter Themed card for a chance to Win a $20 GC to the store. This month's theme was Winter. 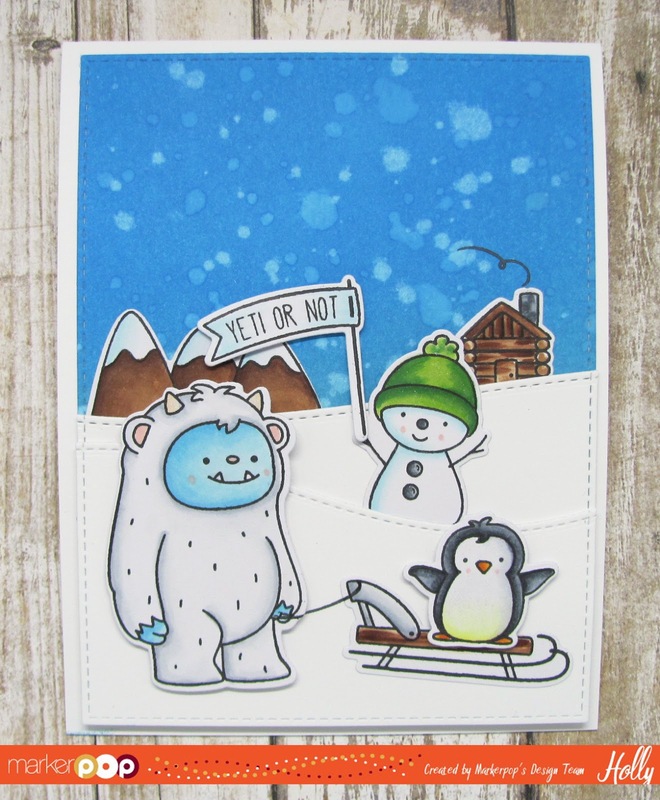 Create any Winter themed card using any products you have in your stash. We ask that you use a coloring medium that we carry in the store. I Created a Fun Winter card using the Neat and Tangled Get Yeti set and some dies from My Favorite Things. I used some Distress Oxide Inks to create the background and colored all of the images in with Copics Markers. You can find all the details on how to enter the challenge on the MP FB Page or the MP Challenge FB group here. The challenge ends at 11pm EST on 2/2 and we will announce the winner on 2/3. Neat and Tangled Get Yeti Stamp and Coordinating Die set, MFT Stamps Stitched Rectangle Stax #2 and Stitched Snow Drifts Die-Namics, Spectrum Noir Sparkle Pen in Clear, Distress Oxide inks in Broken China and Salty Ocean. I colored all the images in with Copic markers. C1, C00, C8, C4, C10,C3 and C6 / B00, B02, B000, B0000 / 0 / E50, E51, E21, E27, E29, E23, E25 / R20 / G07/ Y00, Y0000, Y04 / YG25, YG03 / YR15 and YR18.